Special thanks to; John Foster and Bob McGilpin my Nashville team and Rochelle my number 1 fan in Nashville. Thanks for all you guys make possible in the studio. Working with you is an amazing buzz. 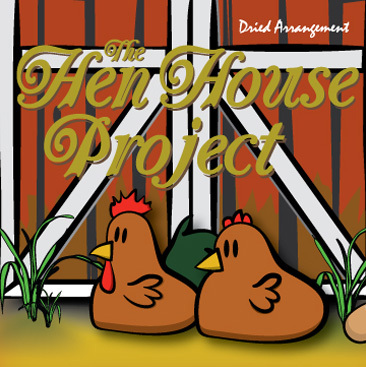 Bob I am in awe of your dedication to "The Hen House Project". Thanks so much. Thanks to Monica Brunty for all the good things that you hear in todays music. Thanks to Brian at Autumnwood for your amazing ear and treatment in the mastering. Thanks to Richard Helm and Jon Ims for your comments and feedback on the lyrics. Thanks for helping me take the songs to the heights they have reached. Richard thanks also for trusting me with "Only A Dream" I loved putting your wonderful 12 lines through the ringer and we came up with a really special song. Thanks also for writing "Free Spirit" with me from the ruins of "Tornado's". Thanks for your faithful critique that highlighted the truth about the train wreck this might have become. Thanks to RC Bannon for the direction. Bart Herbison and the amazing NSAI team. Thanks for a fantastic home base in music city. Thanks again Debi Champion for the writer rounds at the Commodore. Nice to have a home to play at. Thanks to Doak Turner for all you do for singer / songwriters - you are inspirational. Thanks to Ardin for getting the vision for the artwork and thanks to Janeen, Mick and Jennifer for checking out the early versions. Thanks also to 1503 2BS Gold and 99.3 B-Rock FM for the airplay and APRA for the cheques. I must confess that many an Am7 chord was abused in the making of this record.